When think of Terengganu, my mind is filled with exotic islands in the sun (Pulau Redang, Pulau Perhentian and the others) and all those gorgeous unpolluted beaches that stretches as far as 244km!!! Terengganu really has all the charms and splendour partly derived from other states in Malaysia. But yet, despite the rapid development and modernisation, time has seemingly stood still as the state retains all the rustic and idyllic charms so different from other tourist destination. YB Dato' Haji Mohd Jidin bin Shafee, the Terengganu State Committee Chairman for Tourism and Culture gave his speech. Kuala Terengganu: Kuala Terengganu is the capital of Terengganu. Despite being fast changing into a modern city, the charm of the old world is still there, neither lost nor forgotten. Terengganu State Mosque: The mosque was built on the estuary of Terengganu river and its intricate design gives viewers the impression that the mosque is actually floating on water. This place of worship is beautifully litted up at night and presents a breathtaking sight. 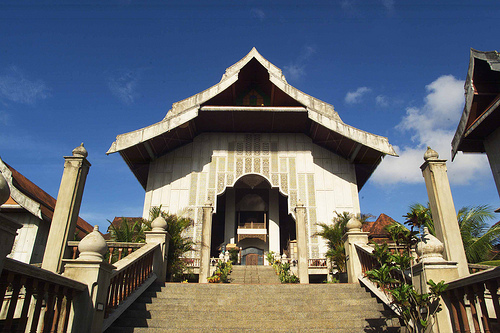 Terengganu State Museum: Situated on a hill in Jalan Cherong Lanjut, the Terengganu State Museum has an impressive collection of nineteenth-century Chinese wares, showing a clear Islamic influence, prehistoric tools from the Stone Age, and ancient manuscripts of Islamic calligraphy. Marang: Marang is a picturesque fishing village with tall swaying coconut trees, lovely fresh breeze, a beautiful lagoon, and a fleet of fish trawlers. Marang will charm you with its natural beauty and simple ambience. 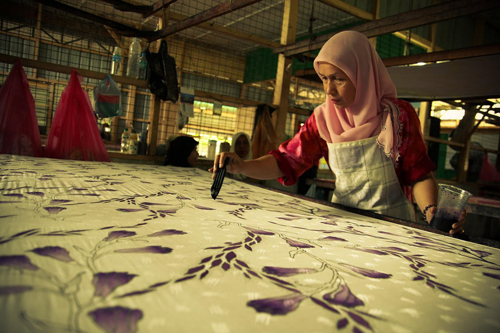 Suterasemai Centre: Just about 6 km from Kuala Terengganu, the Suterasemai Centre is Malaysia's pioneer silk weaving center where visitors can witness different stages of silk manufacturing. 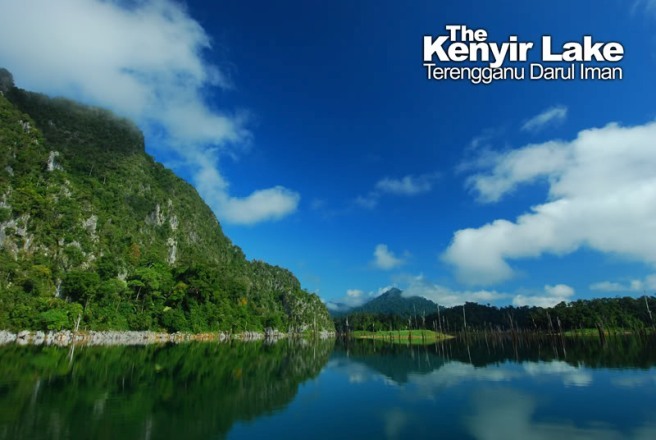 Kenyir Lake: The Kenyir Lake is the largest man-made lake in Southeast Asia. It is located in the interior of Terengganu and is the catchment area of Malaysia's largest rock-filled hydroelectric dam. The area around the lake is ideal for jungle trekking and nature walks. Sekayu Recreational Forest, Kuala Berang: The Sekayu Recreational Forest is about an hour's drive from Kuala Terengganu, it is a favorite retreat for visitors and locals alike, where the magnificent seven tier waterfall is surrounded an amazing natural landscape of lush jungle-clad hills, a fruit orchard, a mini zoo, a bird park, a flower garden, and numerous species of flora and fauna. 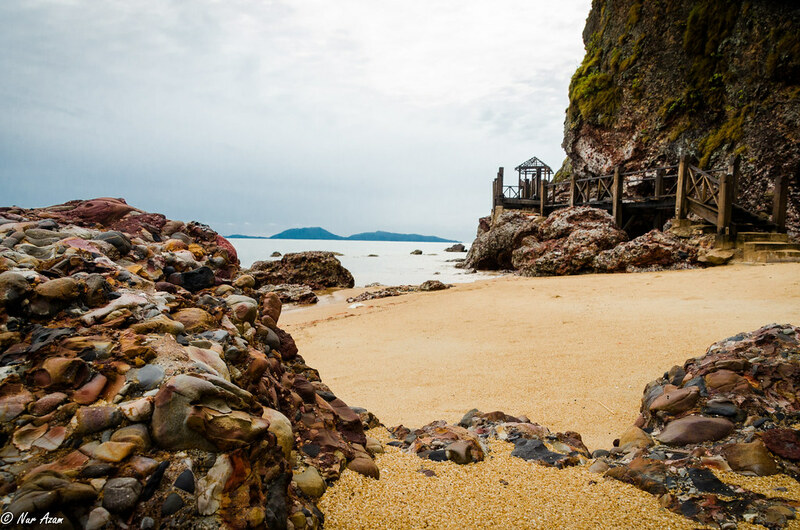 Rantau Abang: Up until the late 80's, the beach at Rantau Abang was made famous being the venue for the annual migration of huge leatherback turtles. Visitors could lay in wait quietly from midnight to dawn to watch giant leatherback turtles laying eggs. Bukit Keluang: Bukit Keluang is about 140 km north of Kuala Terengganu. 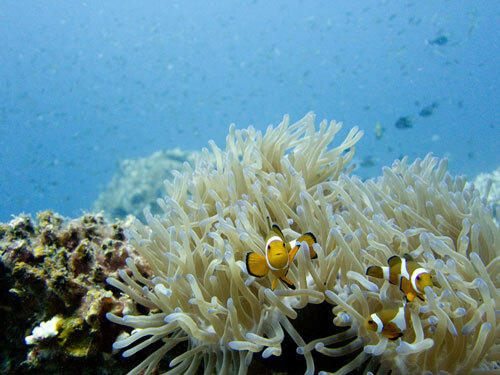 The place has a spectacular beach and is a lovely place for swimming, snorkeling and wind surfing. I can't wait to head to Terengganu again. Beautiful culture, beaches, people. Incidentally, 2017 is Visit Perak Year, too! i never go Pulau Redang before...I feel wanna go there now!!! When talk about Terengganu, it will remind me of Pulau Perhentian. Fresh and clean water. Never visit to Terengganu yet but will do a trip to Terengganu. The waters look so clear and i am sure you'll get an awesome view of the sea bed below! I've been Gem Island and Lang Tengah before, also visited Kuala terengganu, China town. It's really worth to visit, planning to go back on this year. I've been to Gem Island and visited Trengganu very long time ago. I will revisit soon. I am sure many nice and interesting places in Malaysia which we can explore. Never been to Redang before. I was like dying to go, but never get a chance. Hope I can make a visit one day! I miss visiting those islands with crystal clear seawater! Hopefully with the launching of the campaign, I will be able to revisit them again! 26 years old and still haven't been to Terengganu! Definitely looking forward for the launch of this campaign!! Hope I can have a chance to visit Terengganu again soon :-D Last visit was over 10 years ago. Would love to appreciate and write about the traditional food here.